Today the Trump Administration celebrated American manufacturing by launching Made In America Week which honors the workers and companies who make “Made-in-America” the world standard for quality and craftsmanship. 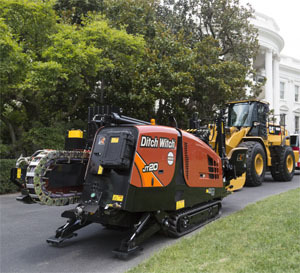 DitchWitch of Oklahoma was one of the 50 state products on display during the Product Showcase on the South Lawn at the White House in Washington, D.C.
President Donald J. Trump, Vice President Mike Pence, members of the Cabinet, Congress and Governors personally welcomed 50 companies, each representing a different state, to highlight and applaud their effort and commitment to American made products. In doing so, President Trump also honors all American workers who for too long were forgotten by government. In his speech to the Made-in-America product display which was both indoors and outdoors at the White House, the President reiterated his promise to the American people that he will be a champion for their cause. 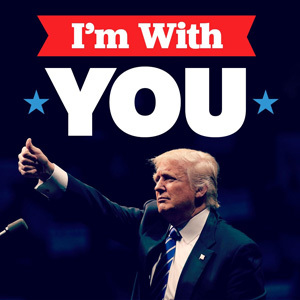 Later this week, the President will meet with a group of businessmen and women to discuss how the federal government can continue to negotiate on behalf of the American worker and continue to negotiate trade deals that will benefit all. This entry was posted in Business on July 17, 2017 by admin.